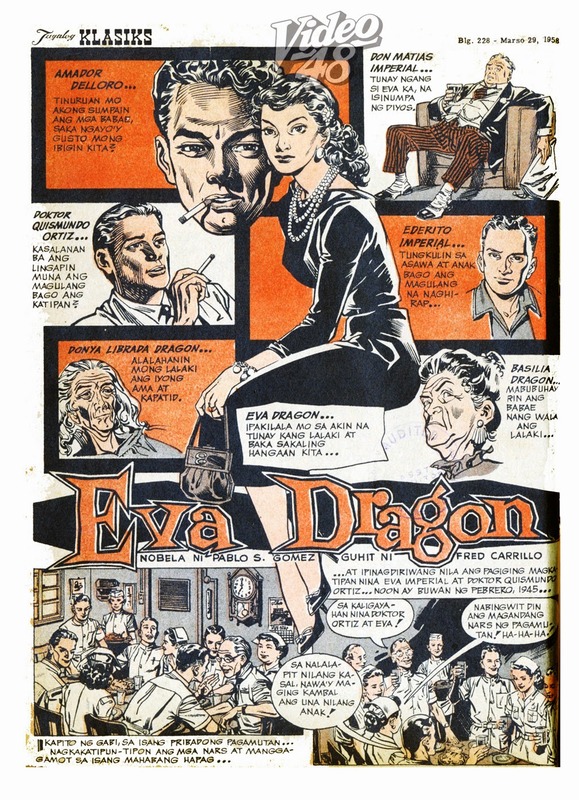 “Eva Dragon” made its debut on the pages of Tagalog Klasiks in 1958. 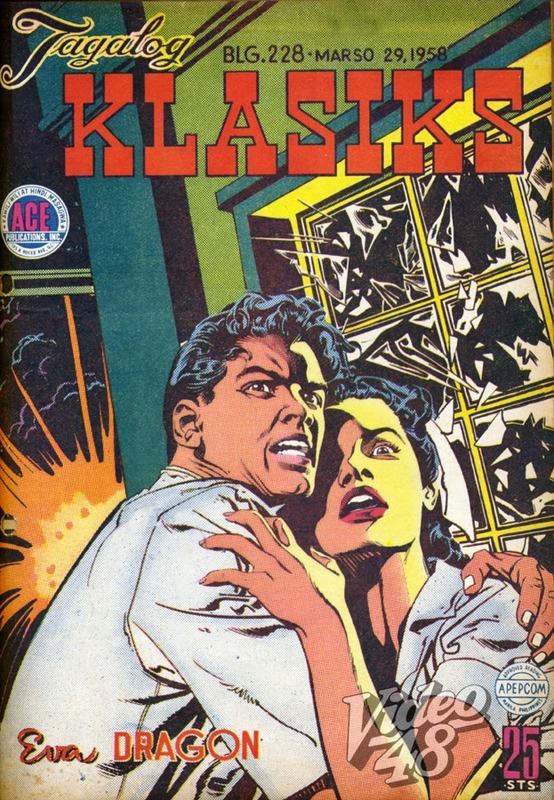 The novel, created by prolific writer Pablo S. Gomez, was adapted into the screen in 1959 with Fernando Poe, Jr. and Merle Tuazon in the lead roles. 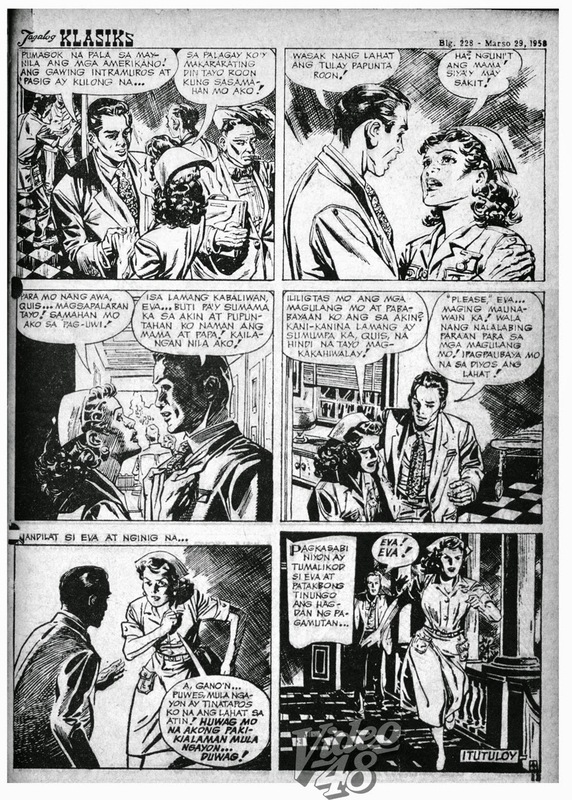 The komiks serial was illustrated by Fred Carrillo and ran for a total of 25 episodes. 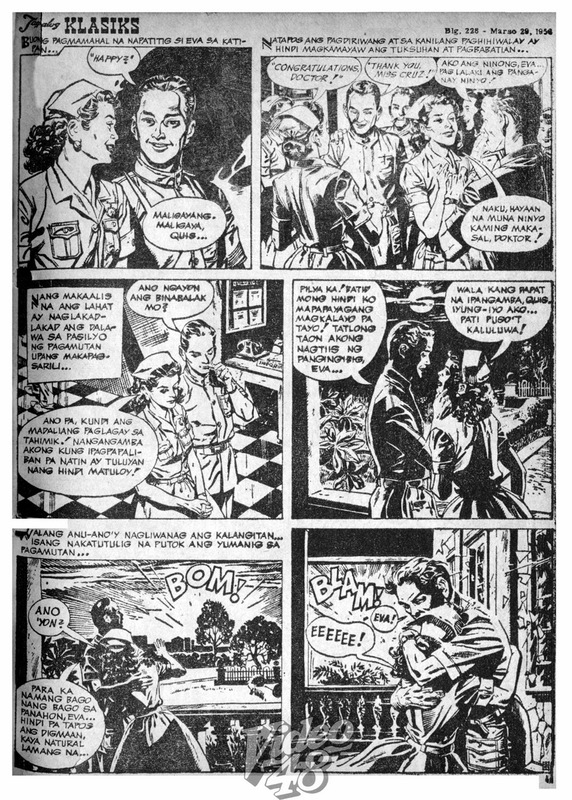 It tells of a heartless, fiery and defiant Eva Dragon who turned an entire hacienda in terror, instilling fear in the hearts of its populace. With gun and whiplash, she makes her ruthlessness felt far and wide until she meets her match in Amador, one of her tenants, in whose hands Eva becomes a woman again. 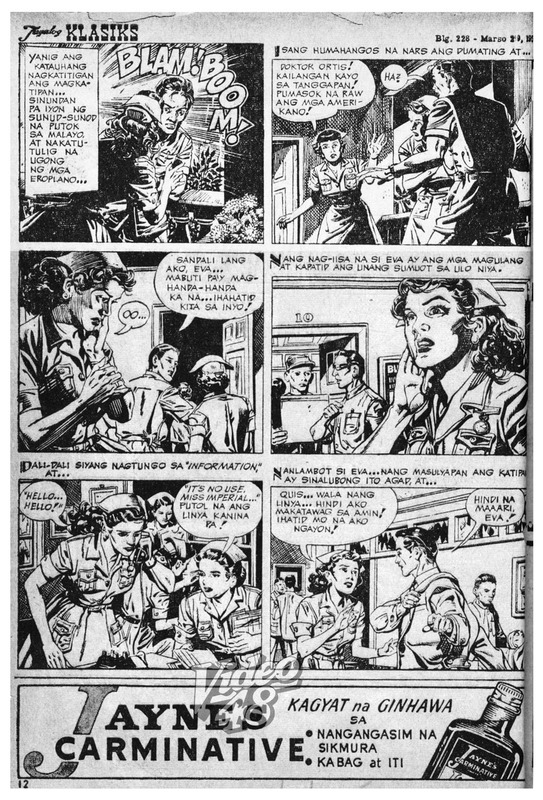 Here’s the complete komiks serial of “Eva Dragon”… Happy reading!